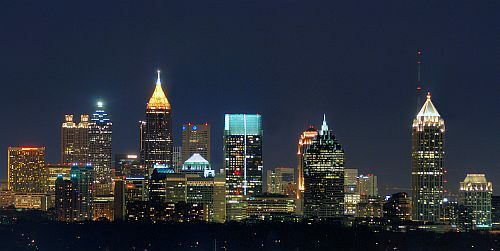 WestJet has dropped the price of their flights from Vancouver to Atlanta, Georgia down to $257 CAD roundtrip including taxes. The flights have 1 stop each way, in Calgary, for 1.5 to 2 hours. This is a new record for the cheapest roundtrip flights from Vancouver to Atlanta. 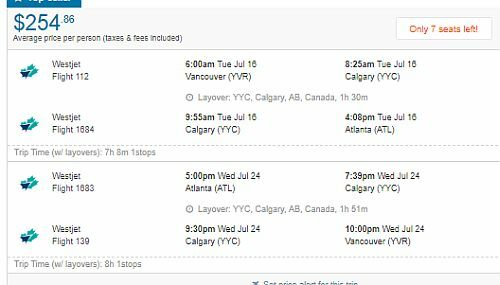 Update 11/17 - There are now some June, July, late August, September, and October flights from Vancouver to Atlanta for $254 CAD roundtrip. They aren't showing up on Google Flights, but they are bookable through Flighthub. vancouver, yvr, flight deals, westjet, atlanta, georgia, atl, united states and north america.